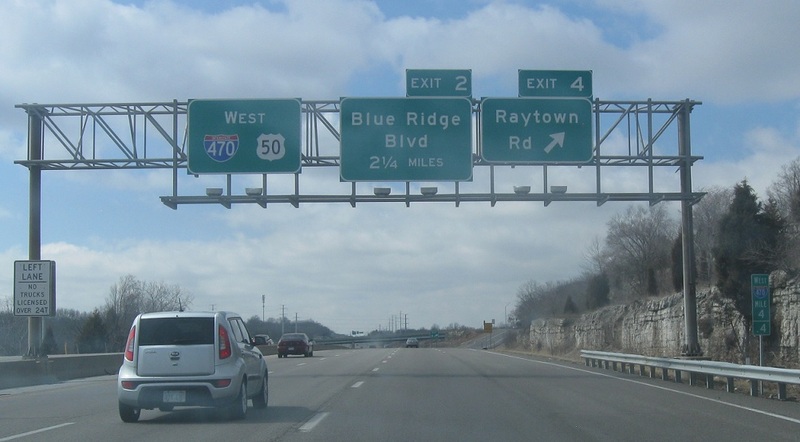 Reassurance shield as US-50 joins I-470. Reassurance shield at the View High Dr interchange. 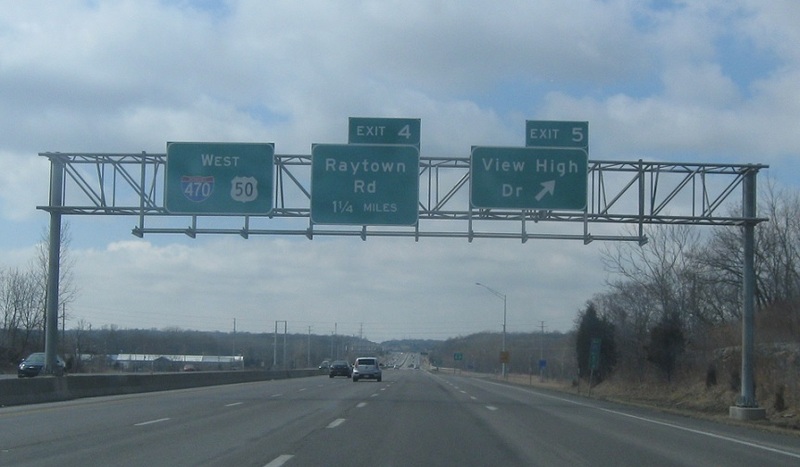 As we enter the Kansas City city limits, we’ll get a reassurance shield after View High Dr.
Reassurance shield at the Raytown Rd interchange. 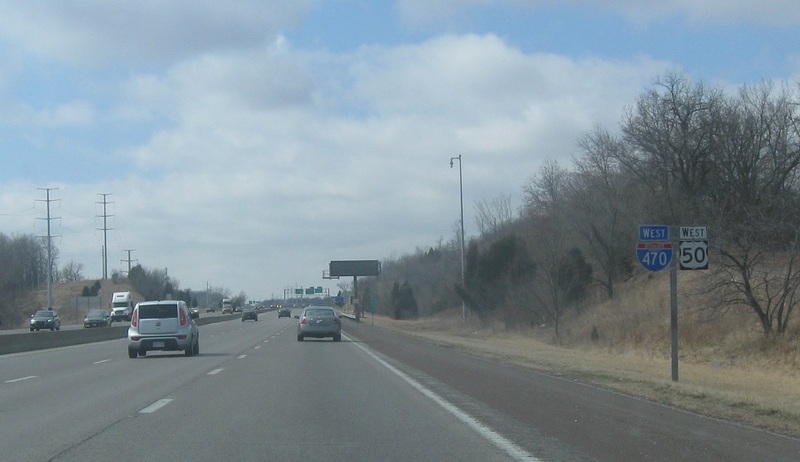 Reassurance shield after Raytown Rd. 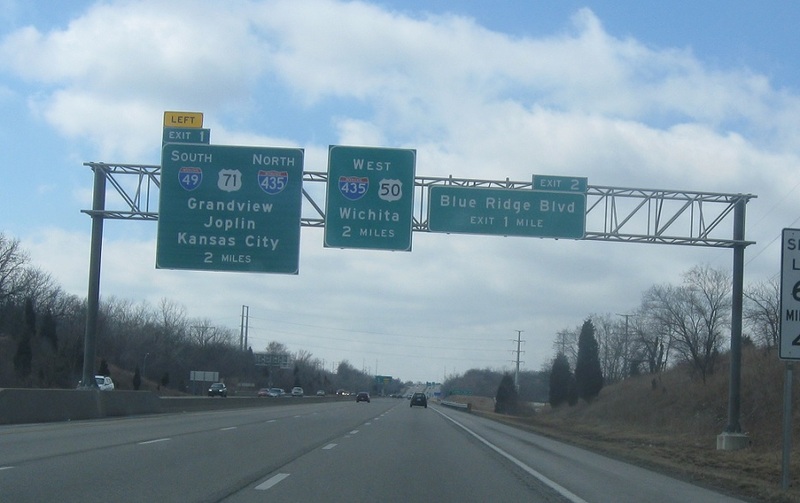 In two miles, I-470 will end as we approach I-435, I-49, and US-71. 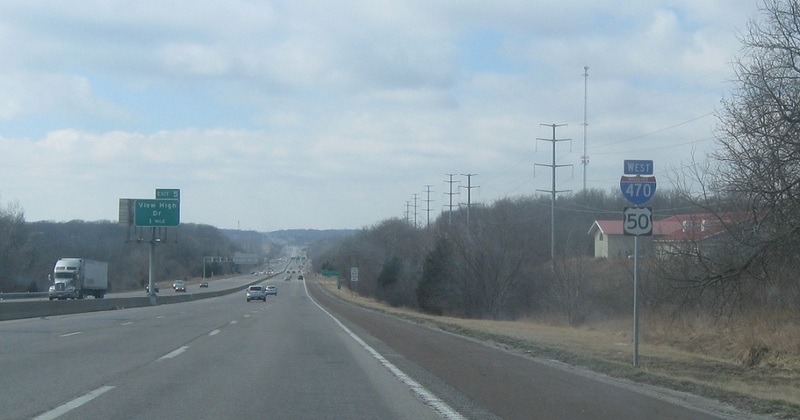 1.75 miles to I-49/US-71 north and south. 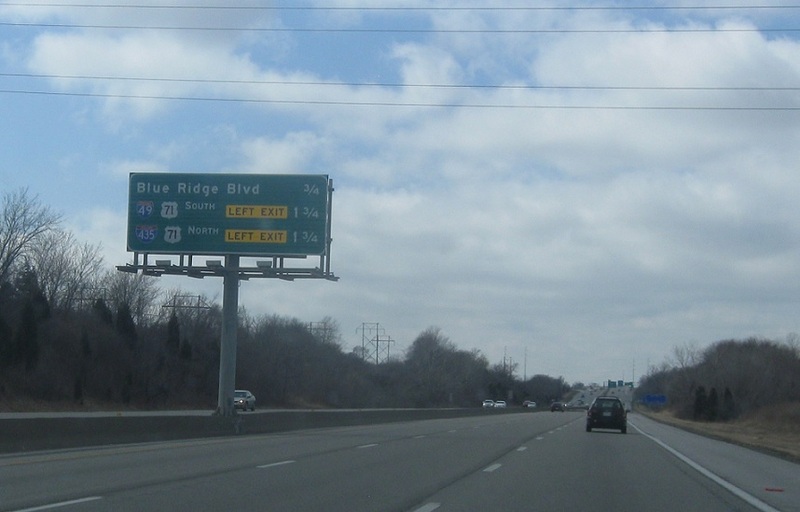 I-470 will turn into I-435 south, which takes US-50 with it. 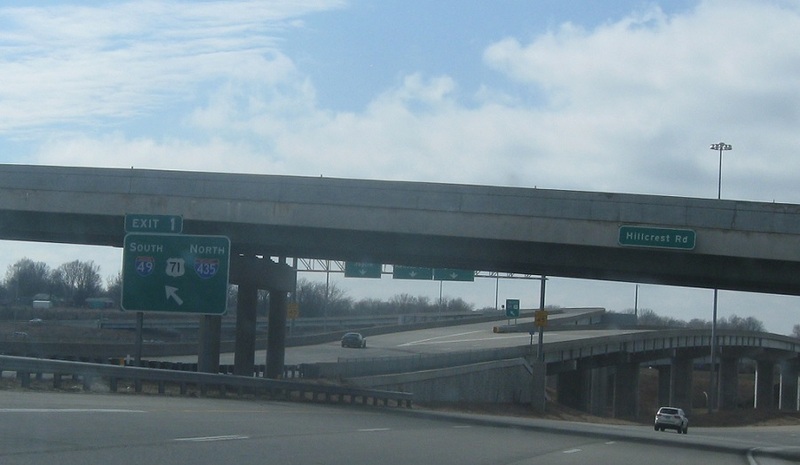 Keep left for I-49/US-71 and I-435 north. 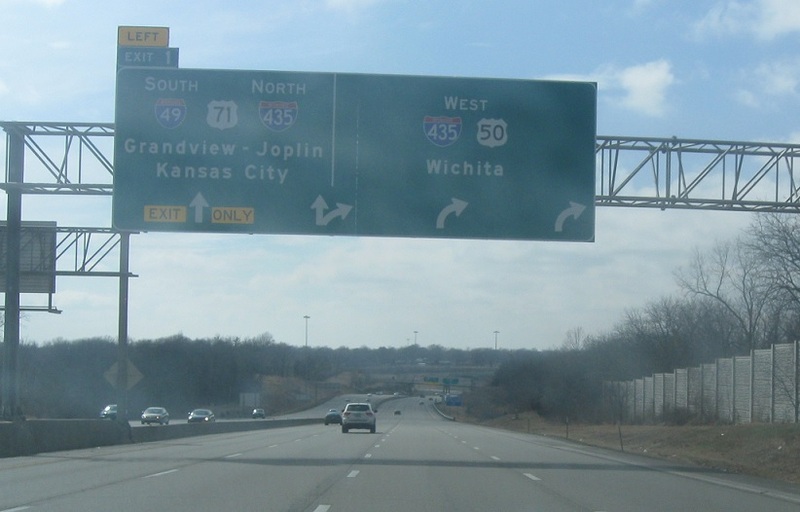 Exit left for 49 and 435 north. Keep right for 435 west. 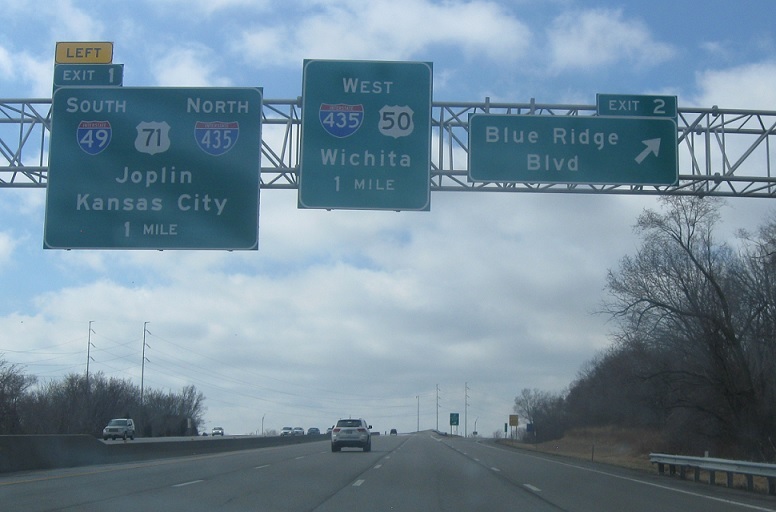 Exit left for I-49/US-71 and I-435 north. 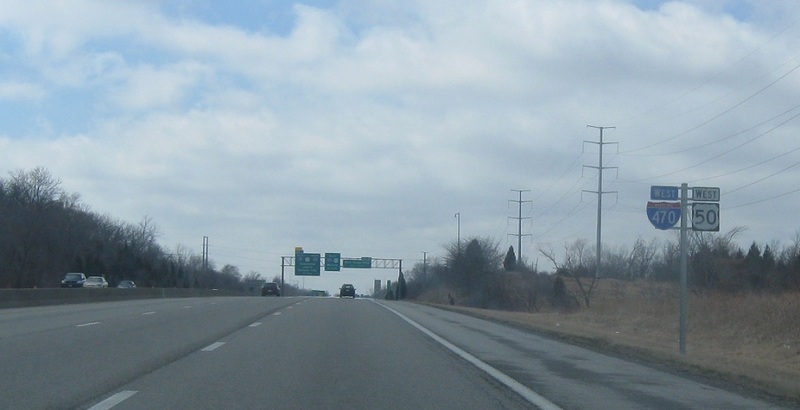 I-470 ends as the carriageway transitions to I-435 west. 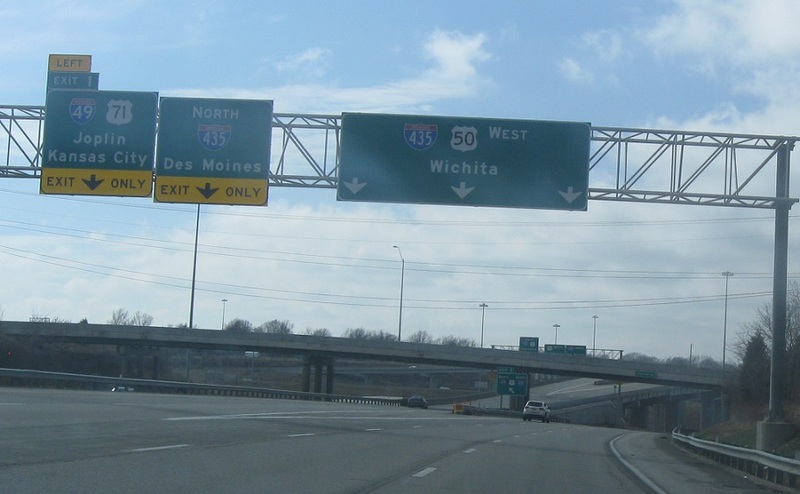 US-50 stays with I-435 west.